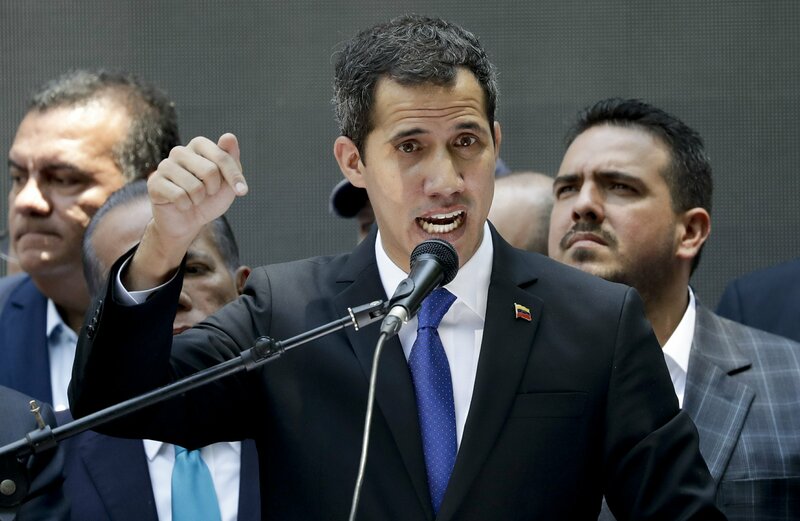 CARACAS, Venezuela — The Venezuelan government has barred opposition leader Juan Guaido from holding public office for 15 years. The announcement by the state comptroller on Thursday increases pressure on the leader of the National Assembly, who is staging protests in an attempt to force President Nicolas Maduro from power. The government cited alleged irregularities in the financial records of Guaido, who has said he expects more efforts by Maduro to derail his U.S.-backed opposition movement.